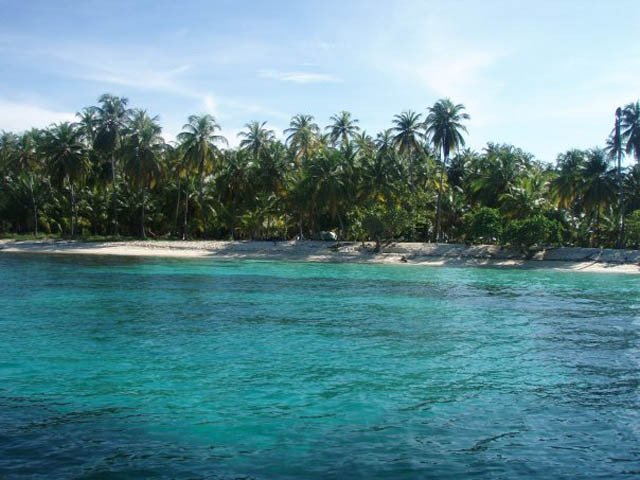 A San Blas island top choice! 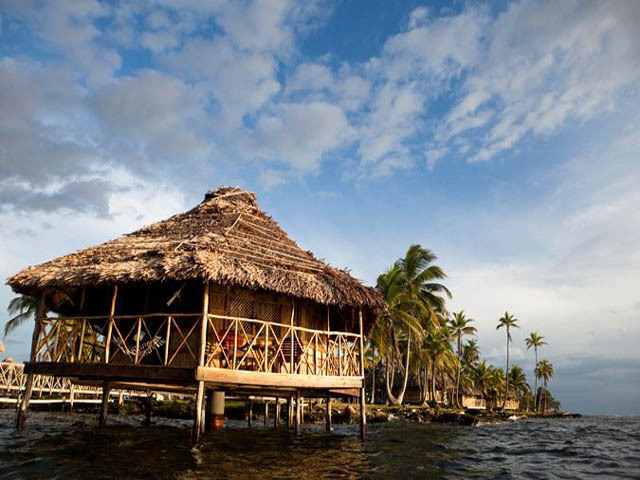 If you enjoy a little luxury with your rustic island adventure than Yandup Hotel is arguably the best choice in the San Blas Island archipelago. 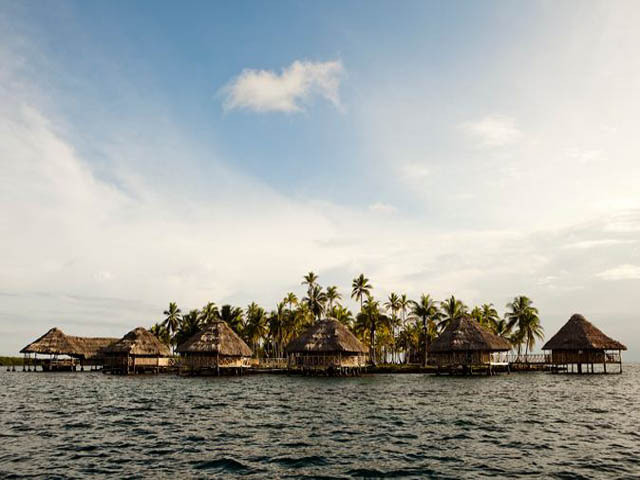 Located smack in the middle of the San Blas island archipelago, Yandup Island Lodge offers a total of 10 ‘luxury’ cabanas well spaced out over the island to offer a degree of privacy. Six of the cabanas are built out over the water, while the other four are built on the shore. 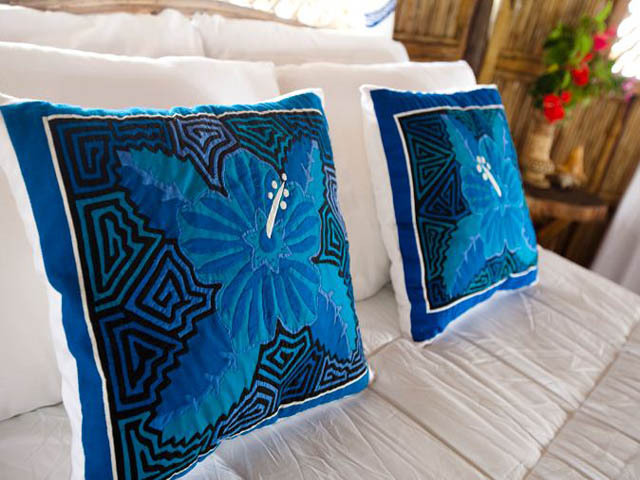 All cabanas offer magnificent views of the ocean and surrounding uninhabited islands. Lodges also include spacious rooms with comfy queen or double poster beds, hammocks, private bathrooms, with hot showers and flush toilets. 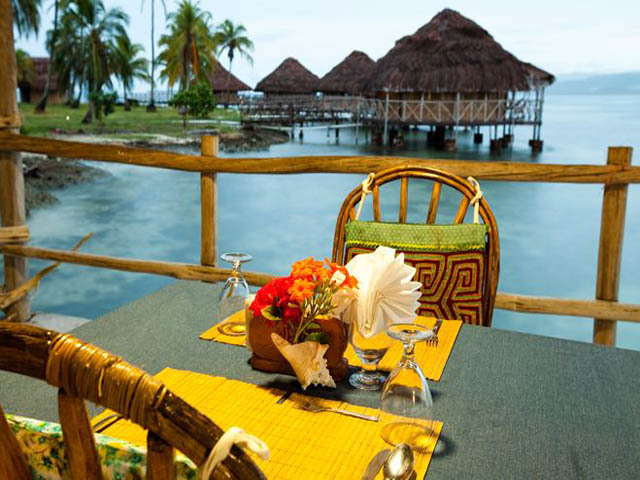 The screened, airy restaurant, is built out along a long dock which sits entirely over the crystal blue ocean waters. 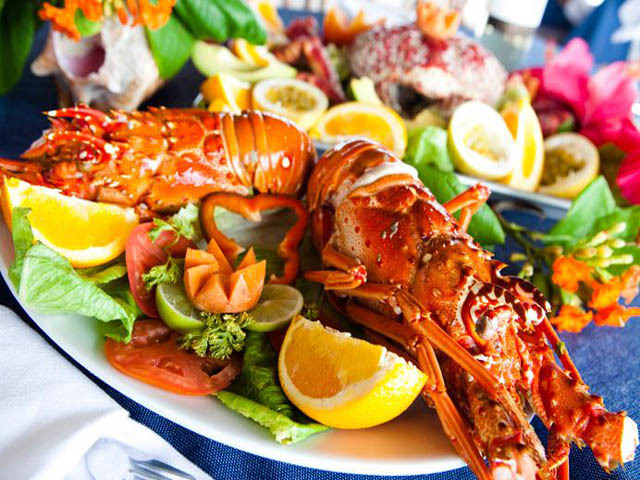 Inside, a hygienically clean and modern kitchen cooks up three delicious seafood meal options a day, including, squid, jumbo shrimp, whole fish, and if you wish, they’ll catch you a fresh lobster, though an additional fee may apply. The entire island is covered in grassy landscaped gardens dotted with soaring coconut trees. The island also features a very nice beach covered in well manicured plush white sand which rolls gently to the unbelievable turquoise waters. 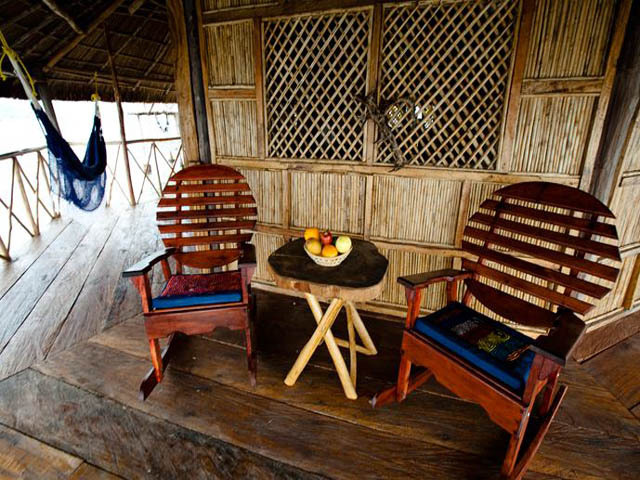 Yandup Lodge offers an extensive list of tours around the surrounding San Blas islands, twice daily. Almost all tours are included in the price of accommodations. 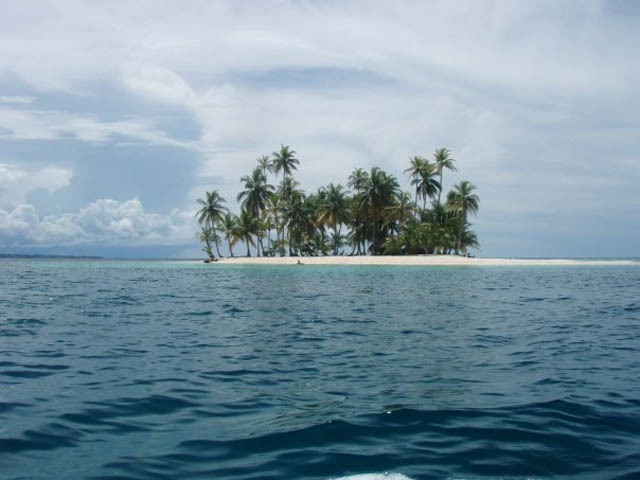 Unihabited San Blas Islands: Crystal clear turquoise waters, brilliant white sand beaches serve as the paradisaical backdrop for this blissful tour. 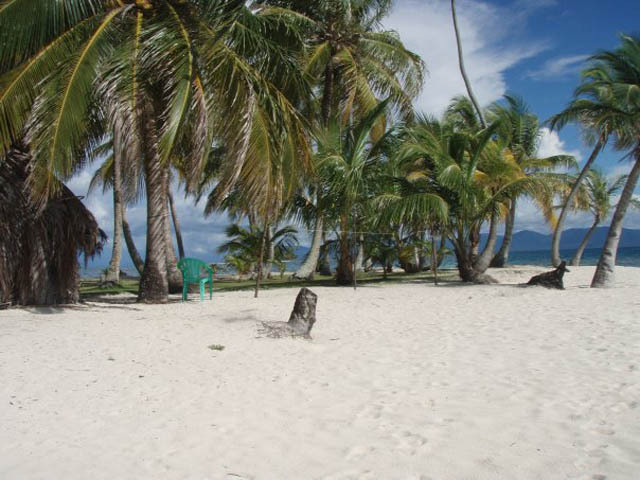 Play in the sand and soak-up the sun on some of the best San Blas beaches. Kuna Yala Burial Sities: Deeply spiritual, incredibly unique. Jump on board the boat and experience the ancient Kuna tradition for preparing, celebrating, and marking the passage of life to eternal rest. Jungle Hike: This tour takes you to a beautiful estuary in the Kuna’s mainland home. The guide will take you through the Panamanian rain forest and give you the opportunity to learn about the indigenous flora and fauna, many bird species. 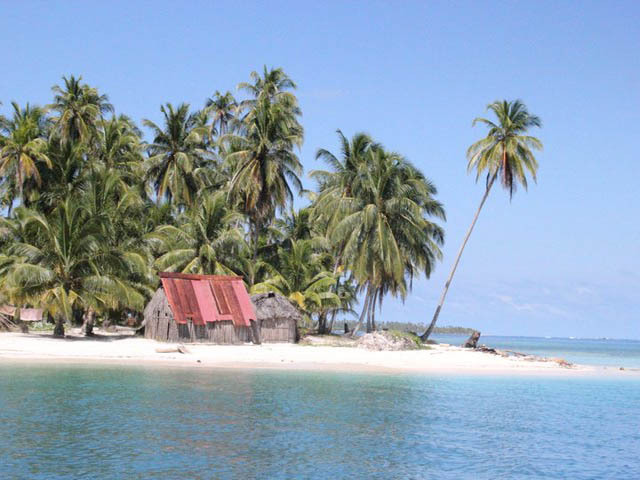 Playon Chico community: Culture is the cornerstone of any civilization and here in San Blas islands, culture runs as deep as the deepest ocean. 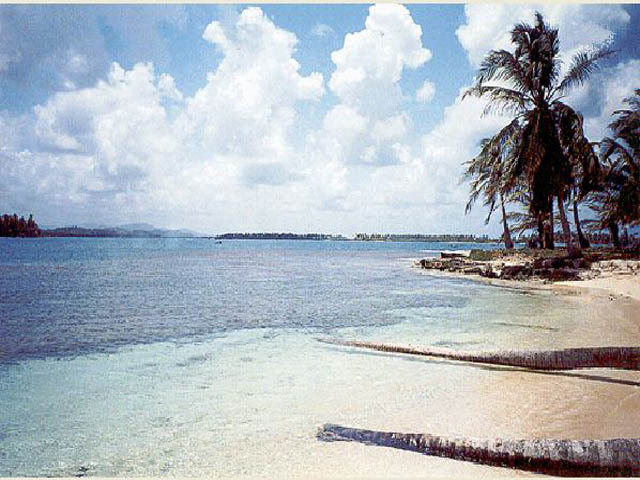 This day tour takes you to one of the most bustling islands. Here you will have the opportunity to see an actively developing Kuna community, purchase inexpensive crafts and experience unforgetable Kuna dancing, which invovles men and women for the whole San Blas community. Waterfall Hike: 4 hour hike roundtrip through the rainforest. 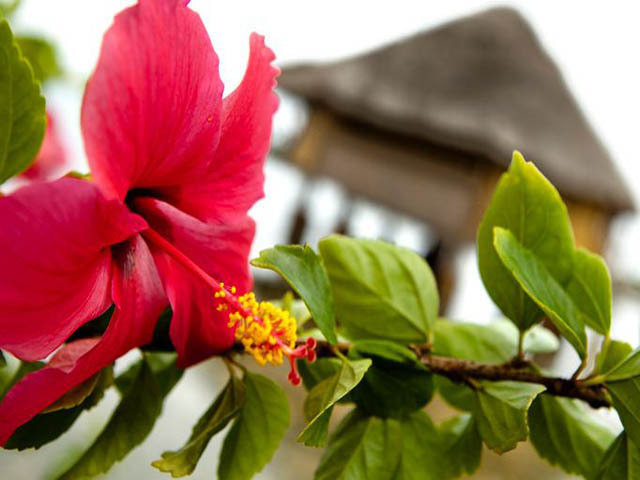 Concentrates on edible and medicinal plants used by the Guna Indians for generations. Refreshing dip in the picturesque waterfall. Traditional fishing: Fish for your dinner in either the sea or near by river using traditional fishing techniques – Extra charge for this tour-Please ask if available. Sailboat ride: Sail around the island on a traditional sail canoe – Guide must be present. Canoe paddle: Paddle around in a Guna Yala dug out canoe, can be individual or two people. 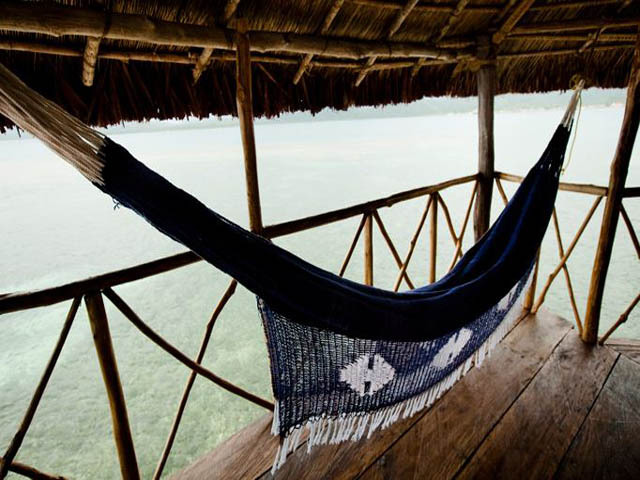 Over the Sea cabins: Some of the nicest cabins in the San Blas islands with over the sea or beachfront available.